Pain has a way of taking over one’s life. Unconvinced? Just try asking people who have to deal with it on a daily basis. If you ask a person who has been suffering from chronic pain due to a wide variety of medical conditions, you’ll likely hear tales of vacations cancelled, activities set aside and invitations turned down. More often than not, even the simplest of tasks like walking around or climbing a flight of stairs becomes a painful experience. Pain affects not only a person’s body. It can also trigger what is called a stress response, more popularly known as the fight-or-flight response. Here, a person is overtaken by stress and fear as the body releases a cocktail of hormones. Not that these hormones are inherently bad; in life and death situations, these hormones can prime the mind and body to perform the appropriate life-saving response. However, if you are in a state of chronic pain, you can also find yourself in a state of constant stress which can further undermine your mind and body. Pain, stress, and over-medication are all reasons many people who suffer from pain have to modify their lifestyles around their condition. Instead of having the freedom to do what they like, when they like, they avoid the things they enjoy because of their imprisonment from pain. Pain and stress relief do not revolve around the use of medications. Today, many medical experts and organizations recognize the immense benefits that can be gleaned from different types of therapies including acupuncture, chiropractic, physical therapy and meditation. The overall goal of these techniques is to reduce the stress that is associated with chronic pain. Although these therapies vary in their philosophies, one common thread that you will notice is that these target both the mind and the body, thus restoring a great measure of control. Furthermore, by creating a relaxation response, the person can achieve a wide variety of benefits including peace, rest and even immunity support. 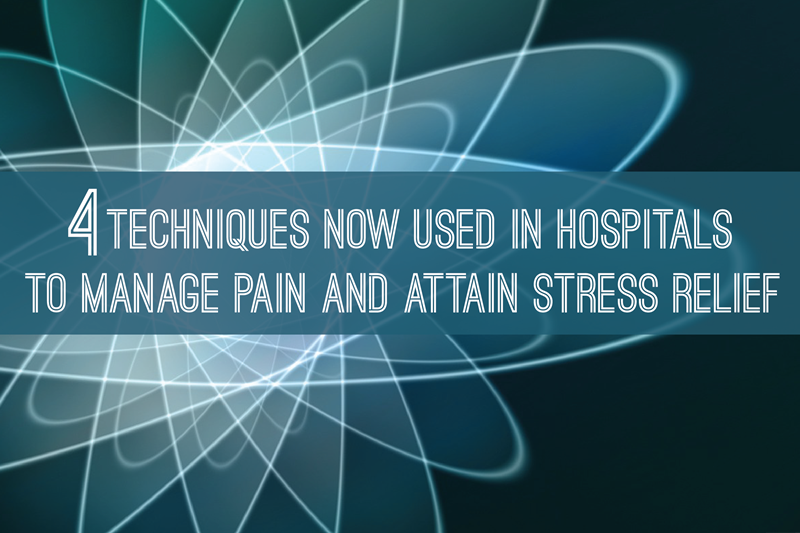 Here are a few techniques that are currently used in hospitals to help manage pain and anxiety. In meditation, the goal is to focus on the here and now. It traces its roots in Buddhist traditions and encourages patients to avoid thinking of both the past and the future. Among its key benefits are minimizing anxiety and depression, and restoring control. In hypnosis, the patient is guided by a therapist to achieve a state of deep relaxation. In this state, the patient reaches awareness. With the use of different techniques, the patient can acquire benefits like greater confidence, self-control and even reduction of pain. Controlled breathing is a therapy that can be done practically anywhere. As one focuses on his breathing, one can achieve relaxation and pain reduction. In this therapy, the patient relaxes individual body parts following a sequence, either starting from the top going down or vice versa. The patient is asked to contract his muscles and then relax, moving from one body part to another. This therapy, which may be used in conjunction with breathing exercises, can help in achieving pain and stress relief.